Moving Services Grande Prairie, AB | Here 2 There Enterprises Ltd.
Moving day is stressful enough without you having to worry about the reliability and punctuality of your movers. For a professional mover you can trust to be on time and affordable, turn to Here 2 There. We provide local and long-distance moving services throughout Grande Prairie and Western Canada. Working both residential and commercial moves, we can move anything – whether it’s just one piece of furniture or an entire household’s worth. We can even just move items and furniture internally for your home or business. No move is too small or too big for Here 2 There. 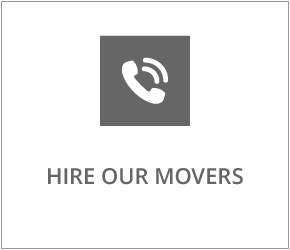 We welcome all moves, providing free estimates upon request. We do NOT have a minimum charge. Additionally, we offer piano and large gun safe moving services to Grande Prairie at a flat rate. Ask for details. Moving and packing supplies are available for sale. We have boxes, tape, and more. Here 2 There also offer’s Grande Prairie moving and delivery services for donation items or removal services to the local landfill. Contact 780-882-8898 and learn more about our delivery and moving services in Grande Prairie and Western Canada today!